The edibles market segment is increasing rapidly. We offer an extensive range of herbs as young plants. 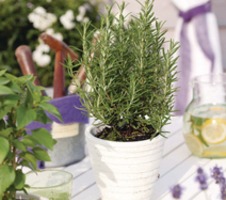 Our assortment includes Rosemary, Mint, Strawberry, Thyme and much more. Very popular herb because of its strong flavour. Many kitchen and cocktail uses, like the Mojito. Strong growing and ever bearing variety. Ornamental with creeping habit and purple red flowers. “Common Sage” is mainly known as an herb for medicinal and cooking purposes but it is also a staple in the bedding plant assortment. Especially varieties with variegated leaves are popular in mixed bedding plantings and in autumn combinations. Based on its many possibilities, common sage is for sale almost your-round. All our salvia officinalis young plants are produced in accordance with vegetable growing guidelines. Originating from the South of France, this is a sun loving thyme. Fragrance of thyme and lemons, “Lemon Thyme” exists in many foliage colours, which make these into popular perennials for autumn planting. The very hardy plants will contain their structure and form for a long time in pots and tubs. Several varieties also prove to be good ground covering plants in gaps between stepping stones and steps. 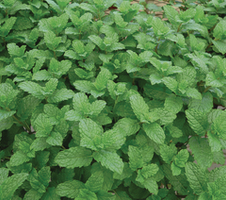 Spear Mint is not just a herb for use in the kitchen but is also an ingredient for mint marmalade and mint jelly.